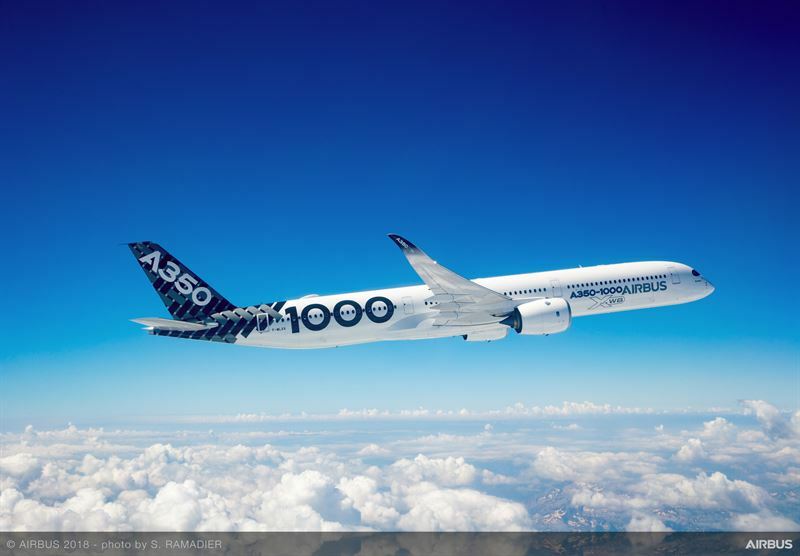 Saab has received an order from Airbus for the provision of Overheat Detection Systems (OHDS) to be installed on the Airbus jetliner A350. The OHDS is based on new technology developed by Saab and detects bleed air leakage in an aircraft. The OHDS is set to be installed on all future A350 aircraft. “As a global leader in aeronautics, space and related services, Airbus is a very important customer for us and our commercial aircraft business. This contract is proof of the successful development of our new overheat detection system and its importance to our customers. We are proud to contribute to the A350 and see great market potential for this new system”, says Jessica Öberg, Senior Vice President and head of Saab business area Industrial Products and Services. The traditional method to detect overheating due to bleed air leakage in an aircraft, is to use a special type of electrical wiring filled with eutectic salt. The new system, introduced by Saab, uses fibre optical sensors throughout the bleed air ducts and an optical interrogator to generate and read the optical signals, leading to a system with a drastically reduced number of components. This has the benefit of installation simplicity, low weight and high reliability, while also opening up future additional measurement functions.